Will Technology Kill Miniatures Wargaming? 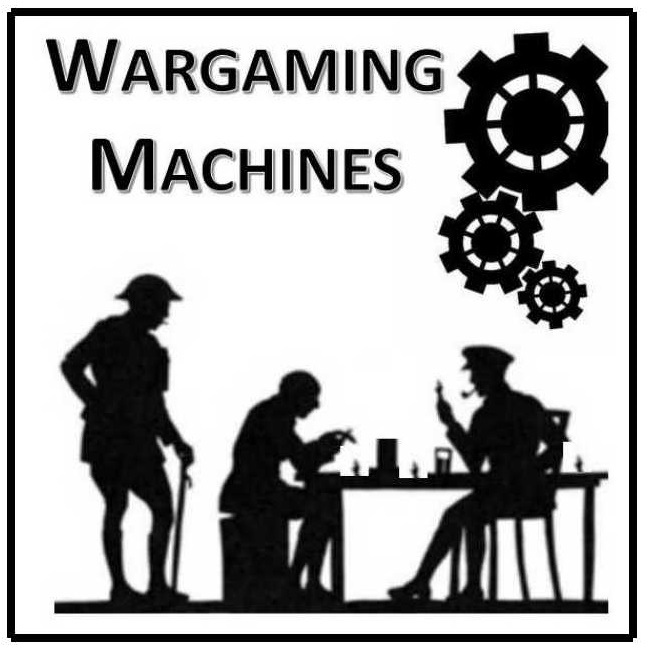 Many of you have probably read the interview at www.wargamer.com with Richard Bodley-Scott of Fields of Glory and WRG fame. In it, he predicts the demise of miniatures wargaming as we know it. That interview was published in July of 2016, and it has been bugging me ever since. I read some of what was said in reply (I especially like Bill Gray&apos;s piece on the same site, even though he mis-quotes Clemens,* and it received the usual chorus from those on The Miniatures Page - how could it not?). Lots of opinions, lots of valid points. Bodley-Scott sees digital versions of miniatures wargames replacing the analog version featuring actual models of soldiers which we all know and love. Is it possible that he is right? The argument that video games would kill tabletop wargaming is an old one, and clearly not sound, but Bodley-Scott&apos;s argument is more nuanced than that. Honestly, I think he has missed the point, and is dead wrong. It has taken me a while to think this through, especially since I want him to be dead wrong. (You have to question yourself when your feelings run strong on any topic. As may be evident, I am a big fan of using technology in tabletop wargames.) Do I think miniatures wargaming will suddenly become the next big thing? No - I do not. It is and will always be a niche hobby, there for those to whom it appeals strongly. But I do not see it going away, either, because for all the reasons that it appeals to us, it will continue to appeal to people. Will technology have an impact? I think it will - miniatures wargaming will change along the same lines that everything else in society is changing as a result of technology. It already is, and for the better. There are some fairly obvious problems with Bodley-Scott&apos;s prediction. For one, he has been immersed in developing digital versions of what are effectively miniatures games, starting with Pike & Shot and Sengoku Jidai, then the computerized Fields of Glory and no doubt others since the interview. I think - on the one hand - that he has gotten excited about the stuff he&apos;s working on, which is natural enough, since it sounds very cool. As someone who develops computer-assisted miniatures games, I can relate to some of the things he says about the benefits of using computers in combat resolution, etc. But I think he has lost perspective. He gives us one very telling fact during the interview: he doesn&apos;t like to paint miniatures. He seems to suppose that nobody enjoys something which almost everybody I have ever gamed with enjoyed at least to some extent, although some more than others. Personally, the collection and preparation of miniatures is one of the primary attractions of the hobby. I love toy soldiers, and I am clearly not alone in this. When I grew up and settled down, I had to find something to do with my time when I wasn&apos;t working, and that&apos;s what got me back into gaming. And it wasn&apos;t D & D that got me - it was the more "adult" form of the hobby - historical miniatures. My story isn&apos;t that different from a lot of historical gamers, and it is essentially the story which Bill Gray outlines. When I look around today, I see a world full of different types of wargames, and yes, many of them are on computers and game consoles. But I also see a Games Workshop store in every city I travel to for work (in Europe, but I imagine the US is the same.) The kids are still playing with miniatures, because toy soldiers are innately appealing. And the coolest way for adults to play with them is to use them as pieces in strategy games. Adults like complicated strategy games (that more intelligent sort of adults, anyway). These are the reasons, taken together, why our hobby is not going to die, technology notwithstanding. I grew up in a small city - not a small town, but certainly no metropolis, either. The local hobby shop sometimes had some soft plastic 1:72 scale miniatures, usually WWII, Napoleonic French or British, or American Civil War. That was the extent of what was available. (We bought them and played Column, Line & Square, Empire, and Rally Round the Flag. In my mind&apos;s eye, I can see the paint flecking off of them while we played, as clear as day. What a nightmare.) By comparison, the same small city has more than one game store today - game stores seem to be pretty common these days, and not just the video kind. And you can buy things like metal 15mm WWII miniatures (and 28mm, come to that, for Bolt Action) at them, even in the age of the Internet, and even if most of the stuff they carry is card games, science-fiction, and fantasy RPGs. They often have gaming tables you can use. If I had seen a store like that in my hometown as a kid, it would have blown my mind. It looks to me like progress, not the reverse. The kinds of games that turn some people into historical miniatures wargamers are more common than ever. And these kids have access to all the video wargames they want, which we didn&apos;t. Miniatures seem to be thriving despite the technology-enabled alternatives. When you think about why, it comes down to a simple fact: miniatures are cool. Miniatures wargaming, as a physical, social activity appeals to something very basic within us, and it is something that technology cannot destroy, only enable. Technology has impacted every facet of our lives, and will continue to do so. But in the same way that cell phones and networked computers benefit us in our day-to-day lives, they benefit our hobby. Today, I can go to the Hinterland site and buy myself a unit of well-sculpted female hussars circa 1900, in 28mm, without leaving my chair. And, judging from appearances, it is a viable enterprise: they&apos;ve added female trench raiders and Kriegsmarinerin since coming out with the hussars (I don&apos;t think there actually is a word for female Kriegsmarines in German, but if there was, I think - probably mistakenly - that&apos;s what it would be). You couldn&apos;t do that in the past. And the reasons it is possible today are simple economic ones, deriving from modern technology: the network downplays geographical proximity, and speeds communication. Niche businesses (like selling female hussars from 1900) didn&apos;t work well in the past, because the market was too geographically diverse, and too hard to reach. Technology has solved those problems, and we have more and better wargaming miniatures than ever, for a broader range of periods, as a result. This is why Bodley-Scott is wrong in predicting the death of tabletop gaming. Will he become the father of a cool new type of digital wargaming, based on the analog activity we engage in today? I surely hope so, and I wish him every success - he&apos;s had a hand in developing a lot of other cool things. Will that new type of wargame destroy our hobby? No, it won&apos;t. At bottom, it&apos;s all about playing with toy soldiers with your friends - real, actual, physical toy soldiers (that you may have even painted yourself) - and real, actual, physical friends, the kind you can share a pizza with. It&apos;s in our nature. And whatever technology we have, we will use it to further pursue that basic goal.